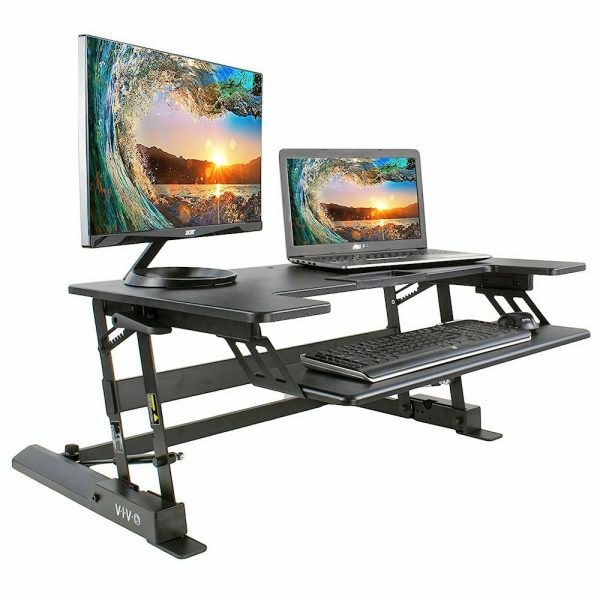 At home or at the office, having the option to stand while working at a computer reduces ill effects of sitting, like neck pain, back problems, reduced cardiovascular flow and others. However, we know that standing for prolonged periods is associated with similar problems. 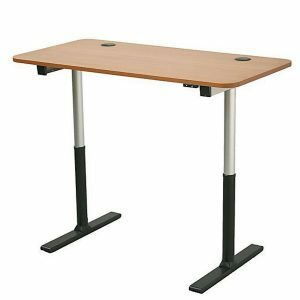 Therefore, the purpose of a stand up desk is to achieve your own personal balance between standing and sitting. 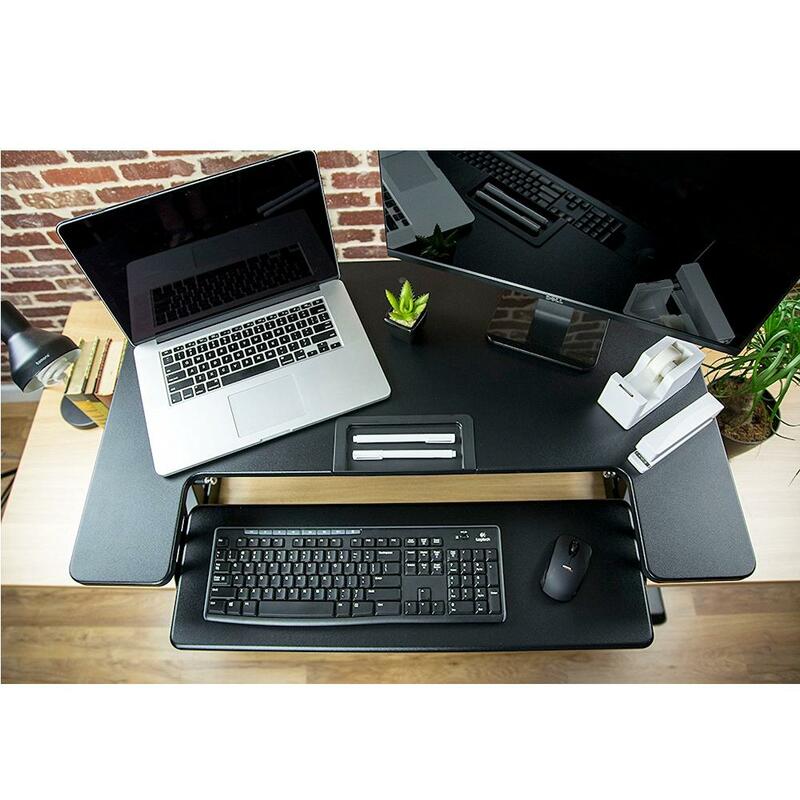 According to a 2013 study in BMC Public Health, evidence is growing that shows sitting is a risk factor for chronic disease by promoting excessive sedentary time. Regardless of general physical activity, prolonged sitting has negative effects of metabolism, cardiovascular morbidity and weight gain. This also places strain on the muscles, joints and ligaments of the body, which can lead to chronic pain. 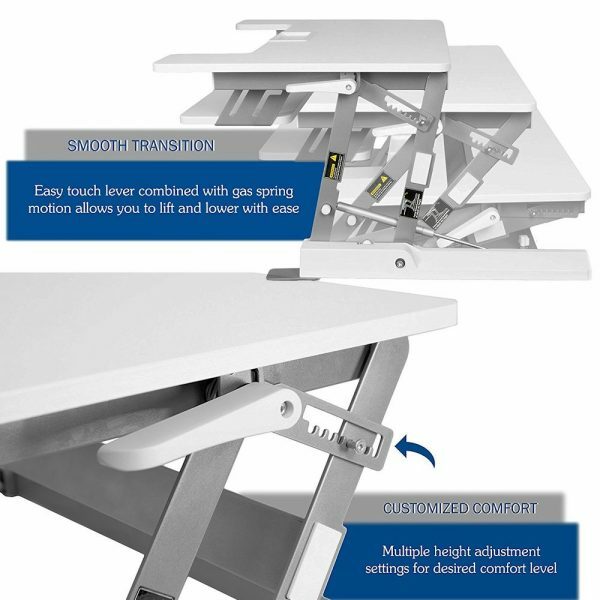 As one of the solutions, a stand up desk has been promoted to reduce sedentary behavior while working. This is important because the trend of modern occupations to be sedentary has more than doubled over the last 40+ years. Studies have indicated positive user experiences and acceptability. 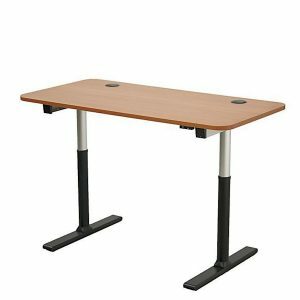 Now more than ever, the quality and technology has improved from older style crank standing desks. 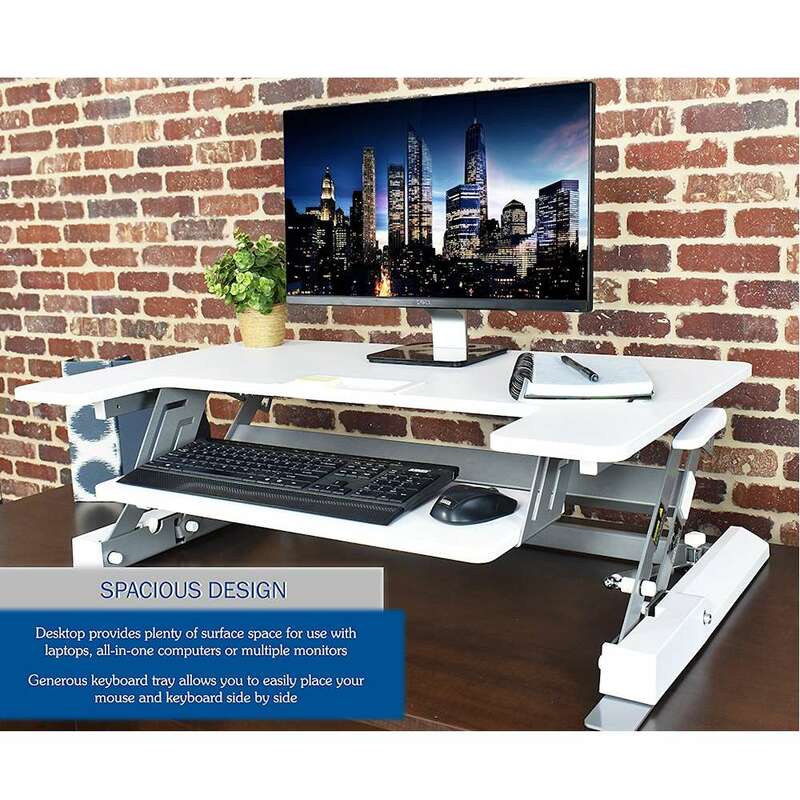 Another solution is to make sure you have an ergonomic stationary desk and take frequent breaks to stretch or walk around. 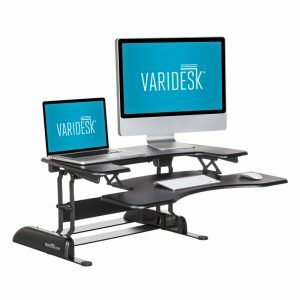 However; breaks are often difficult to incorporate for most individuals and evaluations of stand up desks have shown a reduced rate of physical complaints and discomfort, without a reduction in productivity. This, along with good user reaction, is a reason to incorporate a standing desk into your home or office work environment, and Vivo’s adjustable converter system is a great value with electric or manual adjustable unit options. 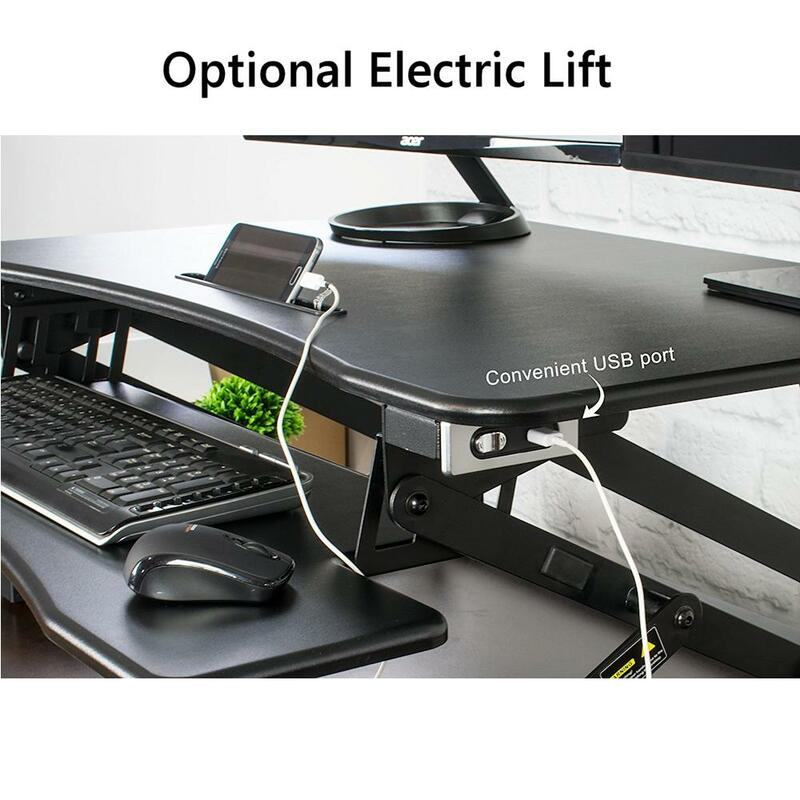 The most important thing is to make sure you use it and commit yourself to this before you buy either an electric or manual stand up desk. You will have to weigh the difference between the two. Obviously, there is extra cost associated with the electric; about $100. That being said, there is evidence that it can have a positive effect on initiating and the frequency of transitions. Remember, the key is to avoid remaining sedentary for extended periods, standing or sitting. However, this is based on data with older manual units versus electric. Therefore, this may not play as big of role as with the new manual lifting technology. 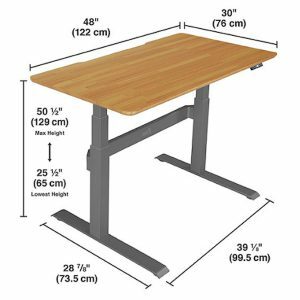 Make sure you are committed to using an adjustable stand up desk before buying one. Make sure you have some help setting up and lifting (weighs about 50 pounds). Take some time to become familiar it. Progress slowly; you will be increasing your cardiovascular system so like any exercise program, go easy. Don’t try to stand too much and allow your body to get used to it. Remember, this is an activity and the standing desk will deliver this transitioning of postures, however, you need to provide the means to avoid awkward postures when standing or sitting. 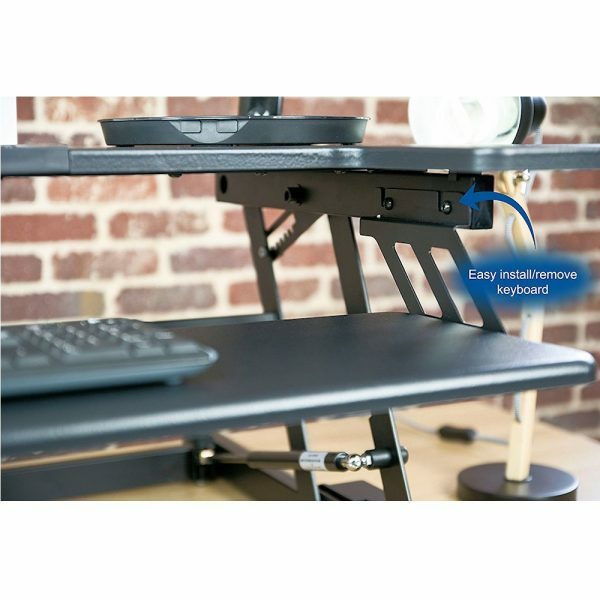 Your neck will be in better posture while standing with the monitor at the right height. You are in control of positioning and maintaining good ergonomics for better posture when in either position. Make sure the transition is not the only effort. There is a smooth transition from sitting to standing. By employing the dual gas spring power, you can make adjustments with their innovating simple touch locking mechanism. 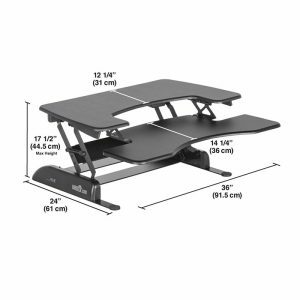 It adjustable from 6.5-16 inches. The top provides generous space for single or dual monitors or laptop at 36 x 22 inches, allowing you to customize and control work flow, and a storage tray for cell phones and other small objects. The bottom deck measures 9 x 28 inches and holds your favorite mouse and key board ergonomically with maximum ergonomic comfort and ease of access. 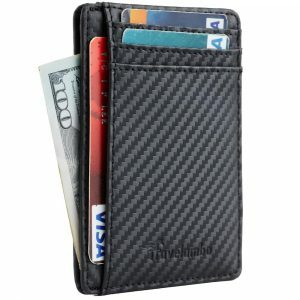 Additionally, the bottom tier can be completely removed easily with the provided hex tool. 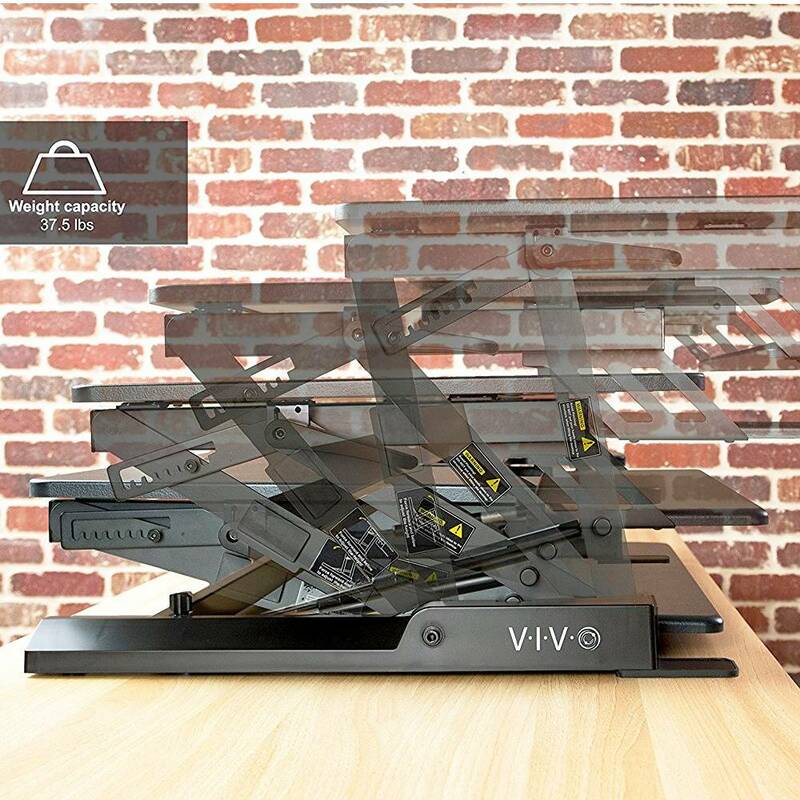 The entire desk converter will support a weight of up to 37.5 pounds. There is minimal assembly out of the box. 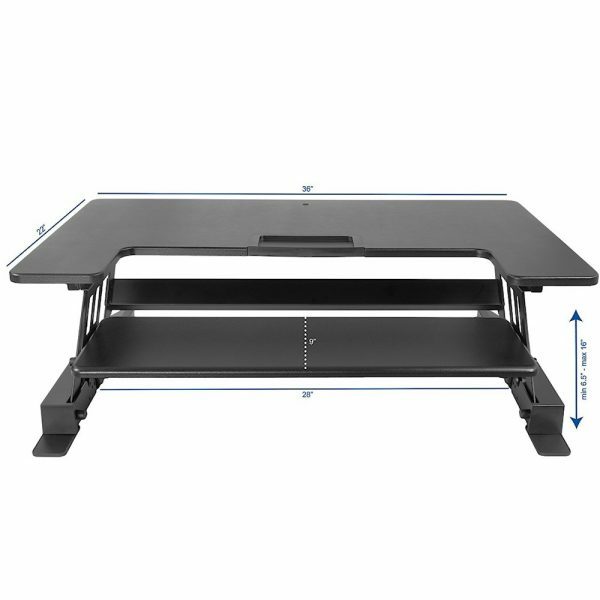 Fits securely on your existing free top desk and it uses a steel frame for durability.